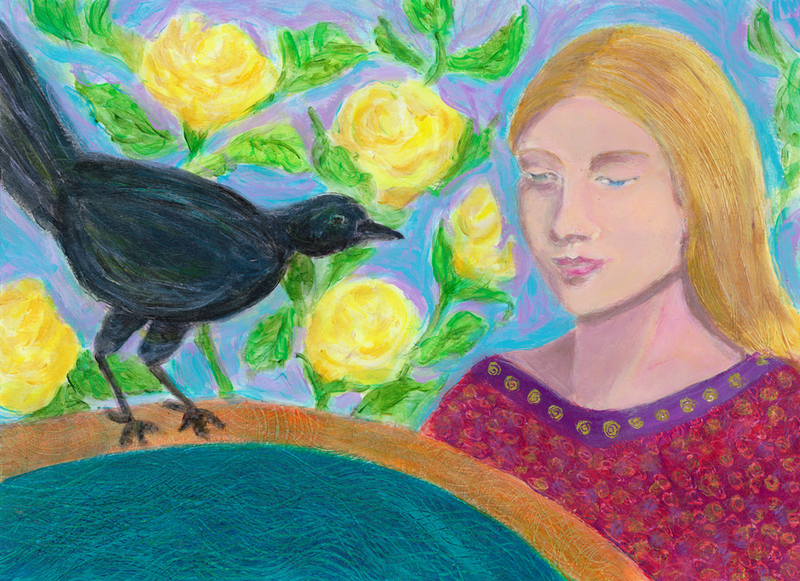 Crow in the Moonlight is my new painting which I began early in the week and finished up on Friday. I had felt like doing a moodier dark painting after the recent light and airy sunlit mermaids I’d done. The last few days have been very sad and disturbing here in the States and I’ve been glad to have the distraction of painting. It seems to me that the powers that be like to keep us divided. We’re on in this together, my heart goes out to all who are suffering. I’ve painted many a crow and thought it would be fun to do a moonlit scene to add to my collection. I enjoyed every moment of painting this, it’s great to be back painting again.